Hope this loads right. I noticed one strap from the holster not on the belt. Please let me know what needs alterations at your earliest convenience, thanks so much! 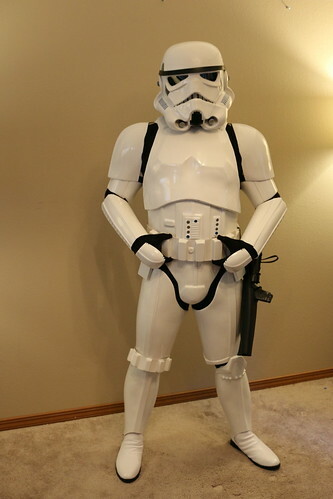 Looks good David, but I think you have an ESB holster. The ANH doesn’t loop, it’s attached via 2 rivets. After that is corrected, good luck on your submission! It was pointed out that I failed to wear the Anh gloves with this, which I have. 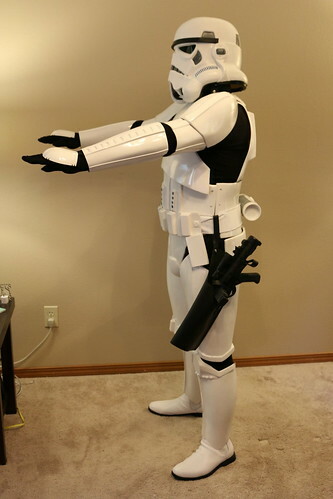 I can re-take the pictures with ESB bucket, or swap out gloves, or just add the picture of the AnH gloves? Is there a preference? 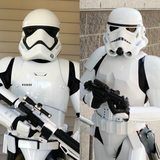 If your submission is ANH you’ll need to swap the gloves and the holster and submit new pictures, or convert to ESB and swap the helmet and fix the holster loop and submit new pictures. Sounds good! Will do this evening. Hi David, I’m the GML that will be taking a look at your submission. 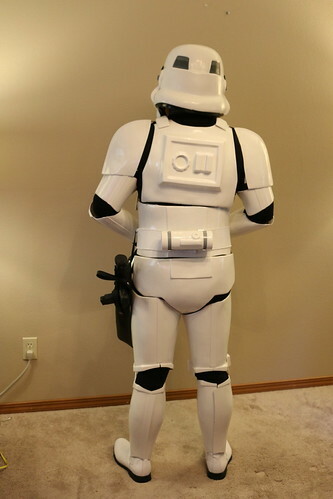 To echo what Daryl said, it looks like you have the pieces in place to do an ESB trooper and most of what is needed for ANH trooper (at first glance You would need to alter the holster to make it ANH). Decide which you want to submit first and retake photos with all the correct pieces in place and we can start the process. 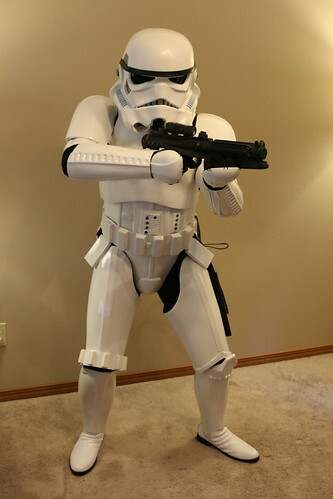 Also, when you do the new photos, could you please do some up close shots of the blaster? Please let me know if you have any questions by posting here or via PM. Yes, seems I mixed up a few pieces I will submit Esb photos this evening. Down the road I may switch out and do ANH. I will certainly provide the closeups. Thank you again! 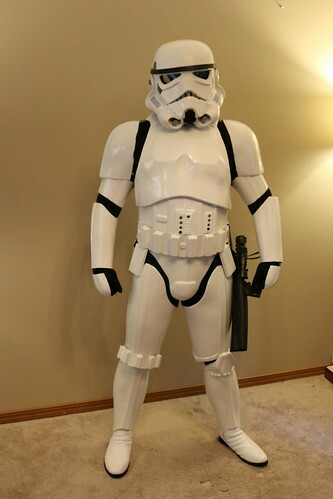 I’m looking forward to some future trooping, I have a lot of free time to help out! I have a desert pack and pauldron being made for me as well. Awesome! Can’t wait to see the updated photos. 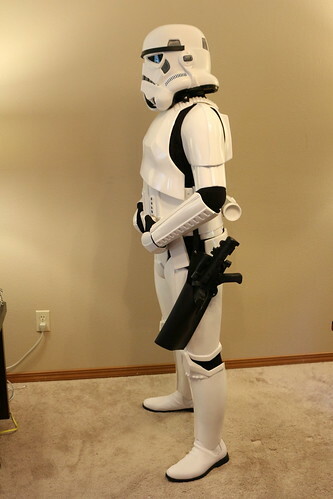 Remember that for ESB, the holster is on the right side as well. Not the left like ANH. 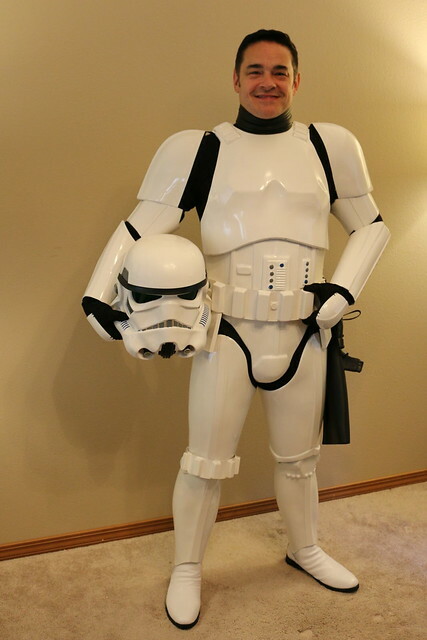 Also regarding the blaster, since it is an optional accessory, you don’t need to include it in the submission photos with you all armored up. Just the up close is fine and one for the “action shot”. 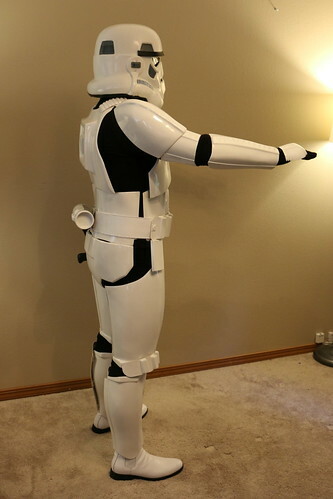 Not having a blaster in hand or holstered helps me get a better look at the armor. Here is the ESB CRL as a refresher. The black line items are all that are needed for basic approval.